Manassas, VA– George Barna is scheduled to speak on Thursday, February 26, 2015, at the NRB 2015 International Christian Media Convention in Nashville, TN. 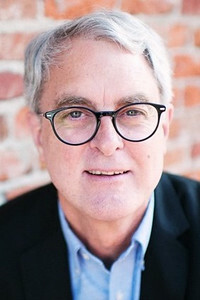 George Barna has filled executive roles in politics, marketing, advertising, media development, research, and ministry. He founded the Barna Research Group (now The Barna Group) in 1984 and helped it become a leading marketing research firm focused on the intersection of faith and culture before selling it in 2009. He has served several hundred parachurch ministries, thousands of Christian churches, and many other non-profit and for-profit organizations as well as the U.S. military. A frequent speaker at ministry conferences around the world, he has been on the faculty at several universities and seminaries; has served as a pastor of a large, multi-ethnic church as well as a house church; and has helped start several churches.